Home > Pregnancy > How does PRC help with an Unexpected Pregnancy? Whether you are here for pregnancy testing or STI testing, we will sit and talk through all your options with you? However long that takes. We believe that the only way you can make an informed choice about your life and future is by presenting to you all the information you need to make the best decision. Also, since we are a free clinic, we have no monetary obligation towards your choice. We genuinely want what’s best for you! If it turns out you are pregnant, here are some ways that PRC can support you with your unexpected, unplanned, or unexpectedly complicated pregnancy. 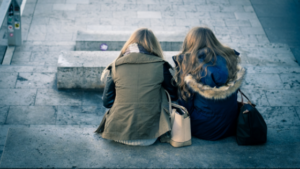 When facing an unexpected pregnancy, you may be overwhelmed and intimidated to meet an unknown and utterly different future than what you had imagined. You may be anxious or scared to tell your family or your partner. You may feel completely alone. We are here to not only ease your fears but to walk with you through your pregnancy as well into the first six months of your baby’s life. 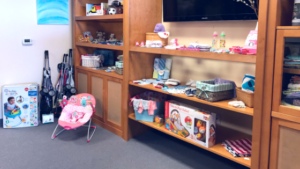 During the time you’re with us, we give you diapers and wipes at every visit as well as the opportunity to earn most any item your baby may need, from large items all the way to clothes and pacifiers. We even have a few big-ticket items such as strollers, cribs, and pack and plays. Another plus, we have lots of clothes for the new Mom, all at no cost, if she’s wondering, “how will I ever afford maternity clothes or clothes to return to work after the baby,” we help with that too. We commit to meeting with you for an hour each week to teach you anything from Prenatal Care, Labor and Delivery, Breastfeeding, Understanding your baby’s cry. We also offer classes for the Father of the Baby. If you need help, or, know of someone who is at risk for an unexpected pregnancy, give us a call, or make an appointment today! We are here for you!